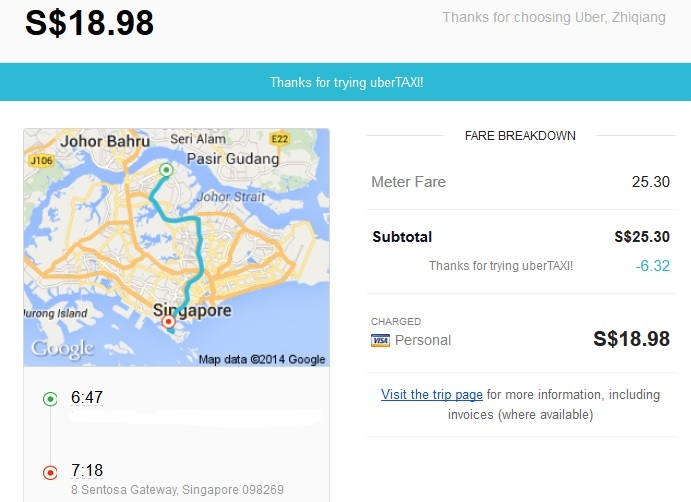 I know this all sounds too good to be true – free Uber Taxi rides, $15 credit to take taxi in Singapore, no taxi booking fees, $1 discount off UberTaxi fares, 25% discount off UberTaxi fares. I felt the same way too initially and I was convinced when I managed to enjoy all these perks + according to Bloomberg, Uber had secured US$1.2 billion in funding and this Uber startup has a valuation of US$17 billion. Surely, they have lots of money to splurge to ramp up awareness of Uber Taxi services in Singapore. Then download the Uber app from Google Play store or Apple App store to book your rides – you will need to turn on your data plan (or connect to Wi-Fi) and GPS to use the Uber app. 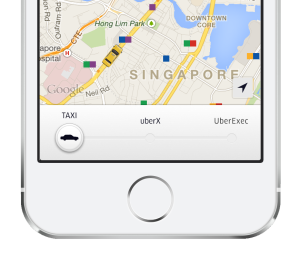 We have been trying out a few taxi booking apps in Singapore e.g. EasyTaxi, GrabTaxi and Uber to book our taxi rides – I liked Uber the most because you don’t have to pay cash to the taxi driver; when you reach your destination, he will input the metered fare (and any surcharges e.g. booking fee, peak hour, CBD) onto an Uber-provided iPhone and the fare will be deducted from the credit card you provided Uber. You will then immediately receive an email from Uber on your fare – see picture below. With 25% off for the month of October 2014 (promotion ended), I have actually saved on my booking fee ($2.30 for off-peak booking) and more – making it even cheaper to book an UberTaxi than it is to hail off the street or wait at a taxi stand. With just a few taps on my phone, I can secure my booking and just wait in the comfort of my home until the driver arrives. Compared to GrabTaxi, I like Uber because I can track my booking history and pay using my credit card (without additional fees) and thus accumulate points/miles on my credit card with my spending. You can see the phone number of the driver you booked (GrabTaxi also has this feature) as well as photo of the driver (only with UberTaxi!) so you can call the driver if you see that he has veered off course when driving towards the pick-up location – Yes! You can track the driver location on your phone while you wait and you have nothing better to do! If you left something behind in the taxi, you can also call the taxi driver immediately – the phone number is still in your booking history. Unlike GrabTaxi, it is not compulsory to input your destination but if you do, it gives you your Estimated Time of Arrival (ETA) which you can share with your friends/colleagues waiting for you via the “Share my ETA” function in the Uber app – on the driver’s end, it automatically maps out a route using Google Maps that he can refer to. The UberTaxi driver is obligated to wait for you for 5 minutes at the pick-up location and if you are a no-show, a $2 cancellation fee is charged to your credit card – which i think is only fair to the driver. Using Uber services e.g. UberX and UberTaxi in Singapore is not illegal – i think the Land Transport Authority (LTA) in Singapore allows this services to be made available just like GrabTaxi. The fare rates of UberTaxi follows the same fare rates set out by LTA and it is metered fare and you will be travelling in a taxi (not a private car). You will need to pay booking surcharges and it is the same rate as per any other taxi i.e. S$2.30 for off-peak bookings and S$3.30 for peak bookings for most taxis – however do note that some taxi companies charge higher for bookings e.g. 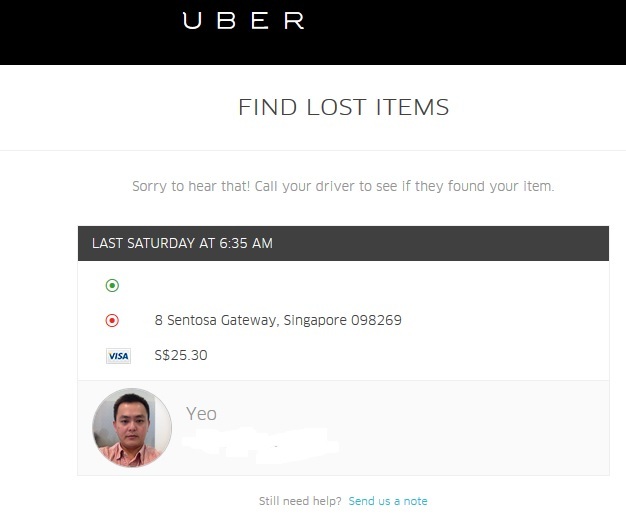 Premier Taxis (S$2.50 – S$4.50) but this is not because of UberTaxi services. This is the main risk of booking applications like GrabTaxi and UberTaxi – you never know what type of taxis you are getting – whether it is the higher end taxis like Mercedes, Chrysler or the latest versions of the Citycab/Comfort cabs – Renault ones where there is a higher starting fare of S$3.90. All other surcharges applies e.g. peak hour, ERP, city area, airport pick-up – just like a typical taxi ride. You do not pay in cash or credit card on the spot at the end of the journey – the metered fare with all surcharges is sent to Uber by the driver and the fare will be debited from your credit card on your Uber account – no credit card surcharges. For the October 2014 25% discount off Uber Taxi rides, you need not inform the Uber Taxi driver of the discount or any promo code, Uber will deduct the 25% backend. The only drawback I see when comparing UberTaxi to GrabTaxi is that as UberTaxi is still relatively new in the market, the number of taxis signed up to UberTaxi is not as many as GrabTaxi so for some locations, it might be tougher to get a taxi via the app. When you compare this to the LTA taxi metered fare rates e.g. $0.22 every 400m thereafter or less up to 10km and $0.22 every 45 secs of waiting or less – the fares are actually quite comparable. I haven’t tried UberX so can’t say much for now but on paper, the fares looked quite competitive. You can also download the Uber app from Google play store or Apple App store to sign up – remember to input the “uberpassportchop” promo code to enjoy $15 off your first ride! Uber sometimes run promotions to reward their riders – These Uber Free Ride promotions are no longer available now. 8 Oct 2014 – Two FREE rides on UberX or Uber Taxi from 00:00am to 23:59pm only on 8 Oct 2014. 23 Oct 2014 – Two FREE uberTAXI rides up to $35 each this Thursday the 23rd of October (00.00AM – 23.59PM). You will still get another $10 credited into your Uber account for your next ride even if you have taken the free UberTAXI rides on Thursday. Month of Sep and Oct 2014 – 25% discount off any UberTaxi ride til 31 Oct 2014. From 10 November 2014 til 23 November 2014, save $1 on all uberTAXI rides. From 24 November 2014 til 15 January 2015, request uberTAXI and your taxi driver won’t charge you their standard booking fees – saving you between $2.30 and $3.30 on every ride. From 1 February 2015, request uberTAXI and you will get 10% off your taxi fare. 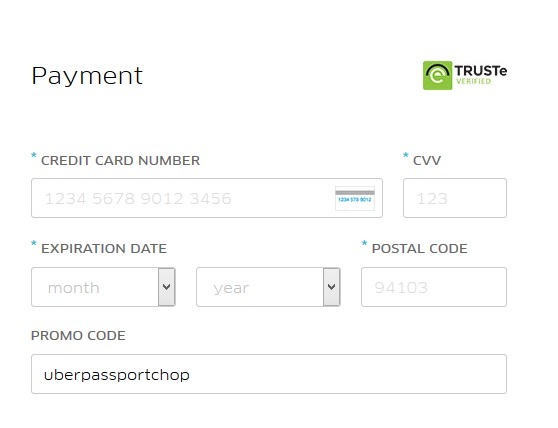 This together with our Uber promo code (uberpassportchop), you will get more than $10 off your first ride with Uber. Great insightful article! As of March 2015, Uber has an amazing promotion! I took my first ride today from Boon Lay to NUS and paid only $3. Seamless!